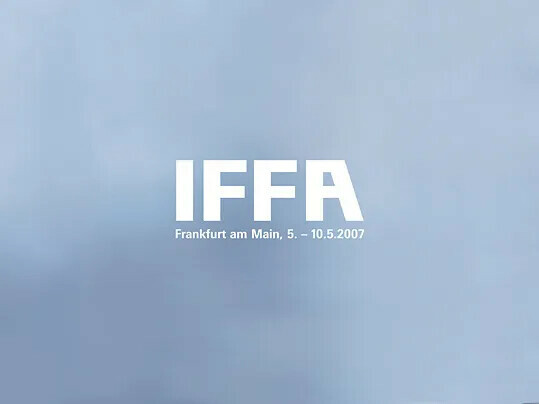 May, 2007 – Forbo Siegling GmbH is presenting its current product range for the meat-processing industry in hall 9.1, stand D55 at this year's "IFFA" in Frankfurt. Siegling Transilon multi-layer conveyor and processing belts based on synthetic materials, provide intelligent solutions specifically customized for manufacturers of meat-processing machinery and the meat processing and packaging industry. Under the brand name Siegling Prolink, the recently extended plastic modular belt range complements the product range for the food industry. Siegling Prolink is robust and easy to clean, making it ideal for meat processing. Focal points at the fair are products guaranteeing the user better hygiene and top performance in the production process: The latest example is a new belt type where the advantages of a homogenous belt are combined with the elongational stability of a fabric-based conveyor belt. A unique, patented fabric structure makes this possible. Another highlight is the Siegling Prolink modular belt series 6, especially developed for the high levels of hygiene required in the meat-processing industry. With a full range of blue conveyor and processing belts – also available as HACCP types - Forbo Siegling is supporting the ongoing trend towards blue belts in the meat-processing industry, which provide a strong contrast to the goods conveyed and make soiling easy to identify. Forbo Siegling HACCP belt types provide preventative protection from micro organisms, good release properties and first-class resistance to hydrolysis, making frequent cleaning with hot water possible. The belts are superb thanks to their high level of resistance to UV light, moisture and chemicals. Founded in 1919, the established company Siegling presented its new image for the first time at the IFFA 2007. Under the new "Forbo Movement Systems" brand, the Siegling product range will be integrated in the newly-organized brand architecture of the globally-operating Forbo Group. Siegling has been a member of the Forbo Group since 1994. In the future, three Forbo Group Divisions will share one single master brand, representing the range of services and products. "Forbo Movement Systems", along with "Forbo Flooring Systems" and "Forbo Bonding Systems", both representing floorings as well as chemical compounds and adhesives, make up the trio. However, the actual foundation for the company's success to date will remain unchanged: The "belting specialist's" business activities and internal organization will stay as they are and ensure being customer-centric and application-driven remain an integral part of the company's philosophy. Forbo Siegling employs more than 1,900 globally people in 8 production sites and 25 international companies. Forbo Siegling plastic belts are used in nearly all industries, as well as the retail and service sectors. Key competencies are the food and packaging industries, logistics and airports as well as paper, print and raw materials industries.